Small 3D snowflake lanterns in our decadent ruby colour are just so pretty and will be the perfect finishing touch to any Christmas decorating scheme. 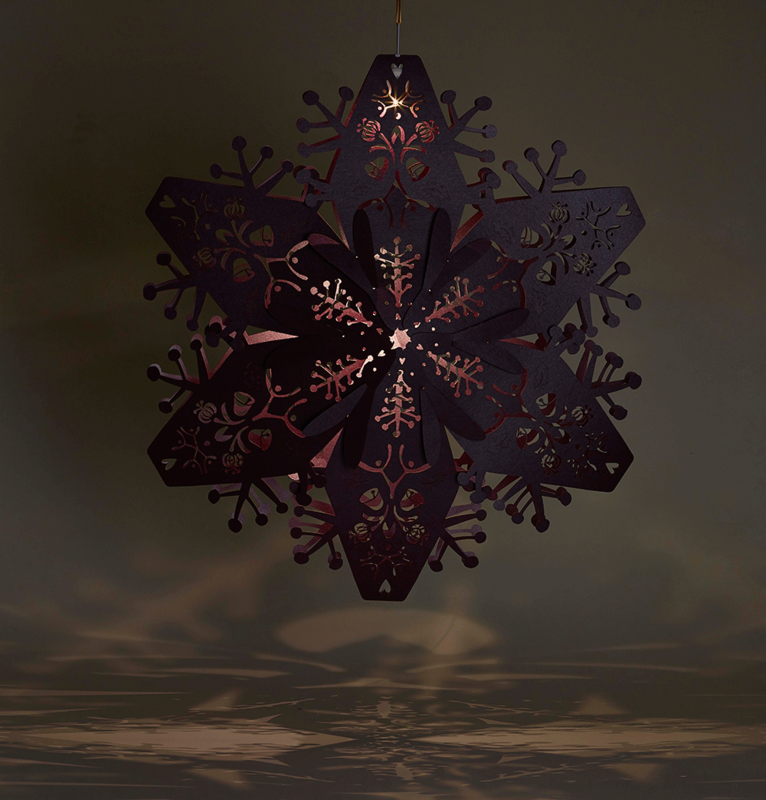 Hang them alongside stockings from a mantel piece or hang from the trees in the garden and watch the light twinkle through the intricate laser cut design. 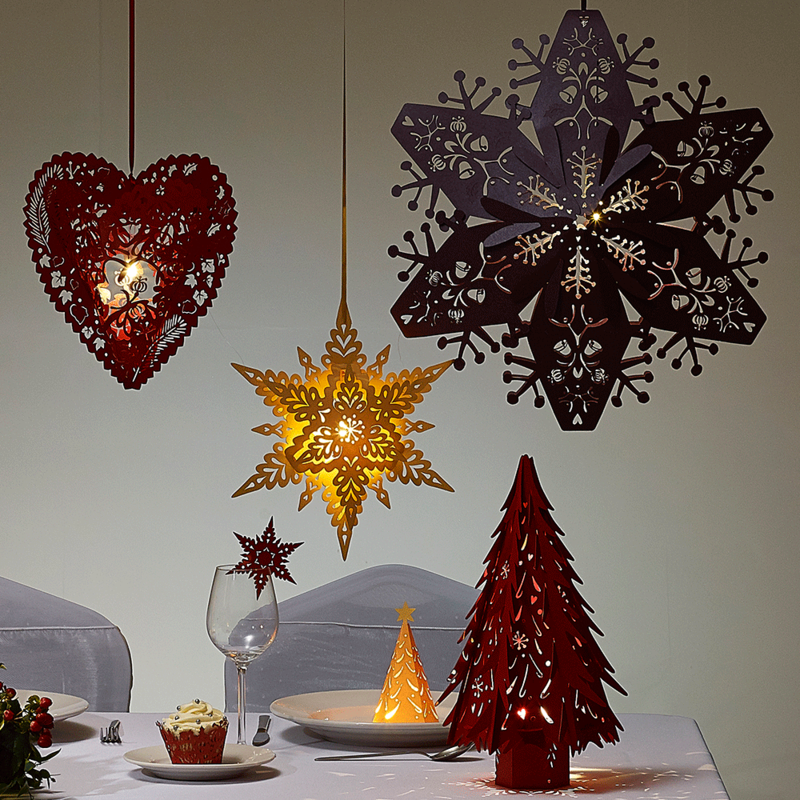 Each small ruby paper snowflake includes a warm white LED Buttonlite. Buttonlites can be purchased separately for your hanging snowflake lanterns. 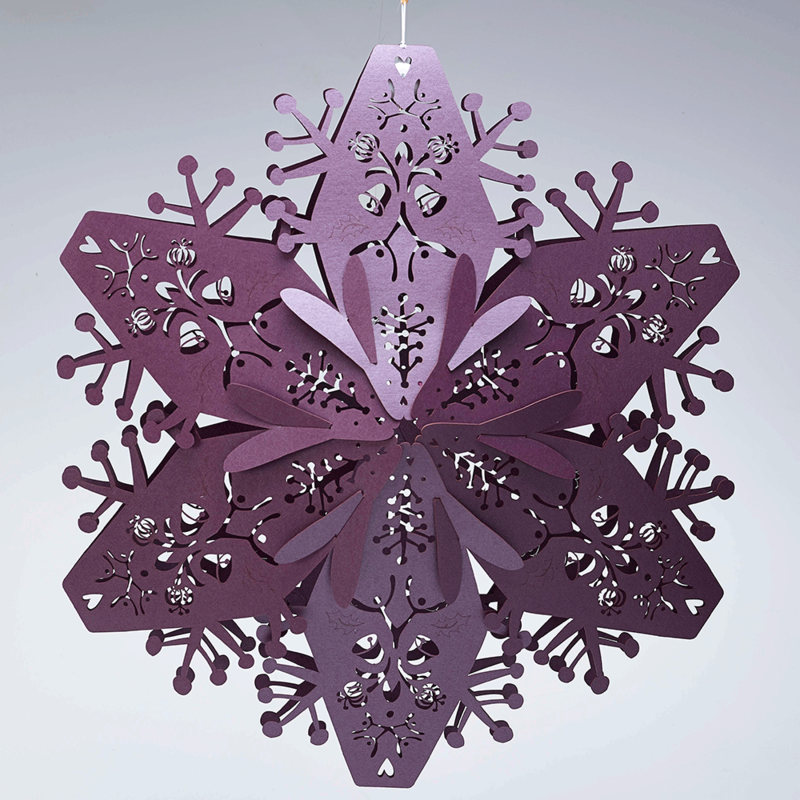 Our small laser cut 3D snowflakes measure W39cm x H43cm x D12cm and include a length of colour matched ribbon for hanging. Simply assemble your small snowflake lantern using the tabs on each piece, snowflakes can be stored for use year after year. Designed and laser cut by Patternise for The Hanging Lantern Company's studio based in East Sussex. For bespoke designs, contact us at studio@hanginglanterns.co.uk .